The Spaniard thinks Chris Froome will aim for a fifth Tour win next year, regardless of what 2018 champ Geraint Thomas wants to do. 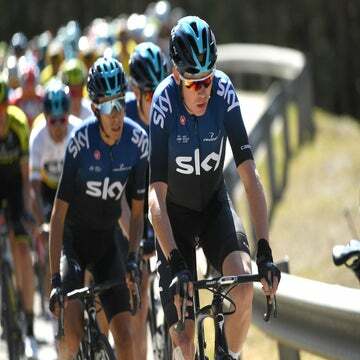 FLORENCE, Italy (VN) — Chris Froome will aim for a record-equalling fifth Tour de France title next July regardless of Geraint Thomas’s plans, says Alberto Contador. Contador retired last year with seven grand tour titles and watched the 2018 season from the sidelines. 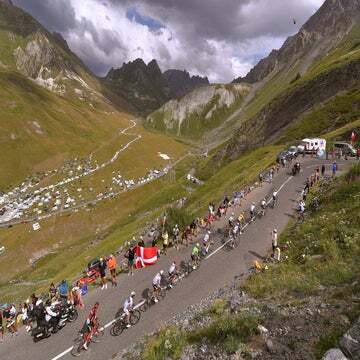 After Thomas’s victory in the 2018 Tour, Team Sky’s 2019 planning becomes more difficult, but Contador imagines that Froome will be given the reins in the biggest race of the year. “This year they have done well together, we will have to see if now that Thomas has already won the Tour if their objectives are compatible,” Contador told AS. Froome will start his 2019 season at the Tour of Colombia on February 12. He said that with routes from the Giro d’Italia and Tour de France in mind, he and the team would decide in November their 2019 plans. Froome won the Giro this year and aimed for the double with the Tour. His Sky teammate Thomas instead emerged victorious in France after years of trying to contend for the title. Froome placed third. The 33-year-old Brit has won all three grand tours. If he wins the Tour a fifth time, he would tie Jacques Anquetil, Eddy Merckx, Bernard Hinault, and Miguel Indurain and position himself for a possible record sixth win. Sky could give Thomas the chance to lead its Giro d’Italia team and defend Froome’s 2018 title. The Giro in 2019 offers 58.5 kilometers of time trials, while the Tour only has 27km, plus a 27km team time trial. Tom Dumoulin (Sunweb), the strong Dutch time trial rider who placed second in the Giro and Tour this year, indicated that he is unsure about racing the Tour. “What could I have done? The farewell was so beautiful, I felt so lucky … I had already thought that I wanted to retire at the highest level and had to put a date on it,” Contador said. “I value everything I achieved, more so now than when I was active. Now you think about all the victories and, analyzing it from the outside, you realize how difficult it was.